The Loose Leaf Lettuce Company is a grower of various types of lettuce. They harvest, pick and mix various lettuce varieties into pre-packaged loose leaf salad take home packs. The company is a family business run by Barry and Maureen Dobra and is located in Gingin, approximately 80kms north of Perth. Maureen is not only an innovative vegetable grower, having created the market for her product, but is also heavily involved in all facets of advocacy for a wide range of vegetable growers. At the time of writing, she is the President of Vegetables WA, the main representative body for WA growers. The Loose Leaf Lettuce Company use most of their power to run the cooling tower and their sorting and packing machinery. The constant nature of their loads means their electricity consumption is relatively consistent throughout the day and across the year. Therefore, in order to reduce their reliance on the grid and provide a hedge against the rising cost of energy, the business has chosen to install a Solargain 100kW solar system. To accommodate the system’s 400 panels, they were split up and installed across multiple roof spaces. 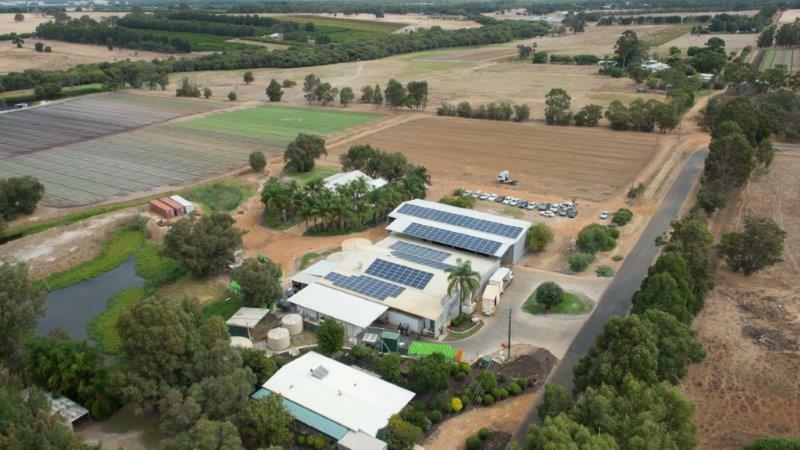 One of the benefits of using multiple inverters for this client, (apart from providing some redundancy), was that we were able to split the installation of the inverters across both buildings. This meant they were easily wired back to the sub-boards, as opposed to having long cable runs that may have otherwise been required. This not only keeps costs down but also increases the efficiency of the system production. In her role as an advocate for growers, Maureen is keen to promote technologies or solutions that bring additional efficiency or cost savings to her industry. However, this is only after she conducts her own due diligence and is happy with the outcome she has received herself. 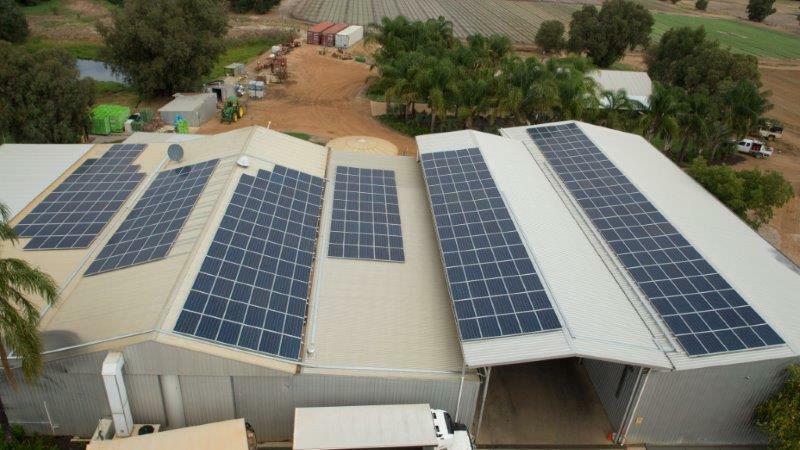 Since signing up for her system, Maureen has referred Solargain to other growers, who are now also installing large scale commercial systems with Solargain. “We are already enjoying the rewards - our energy bills going from $14,000 per month down to $7,000 in March. With a finance cost of $2,300 per month over 10 years, we are confident we’ve made a good decision.